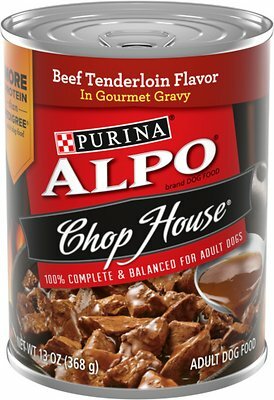 ALPO Chop House Beef Tenderloin Flavor in Gravy Canned Dog Food is inspired by the rich tastes and savory smells of your favorite hometown steakhouse. 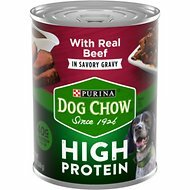 The delicious beef tenderloin flavor and rich gourmet gravy boasts a protein-packed combination that’s almost guaranteed to bring on some drool — from your dog, that is. Best of all, every serving of ALPO Chop House Beef Tenderloin Flavor in Gourmet Gravy is full of high-quality protein — 25% more protein than the leading canned competitor’s adult dog food — and contains 23 vitamins and minerals. With Chop House’s 100% complete and balanced nutrition for all life stages, you can help keep your best friend healthy and happy. Made with real beef for a delicious flavor every dog will love! Savory gravy for added flavor and moisture. Tender chunks offer a tempting texture that will keep your pup coming back for more. Contains high-quality protein sources to nourish muscles. Delivers 100% complete and balanced nutrition for adult dogs. Adult dogs need about one can per 12 - 15 lbs of body weight daily. Divide into two or more feedings. Adjust to maintain ideal body condition. When feeding with dry product: 1 can replaces approximately 1 cup of dry product. When changing to ALPO from another dog food, mix ALPO into your dog's meal every day for a week, gradually increasing the amount until he is eating only ALPO. 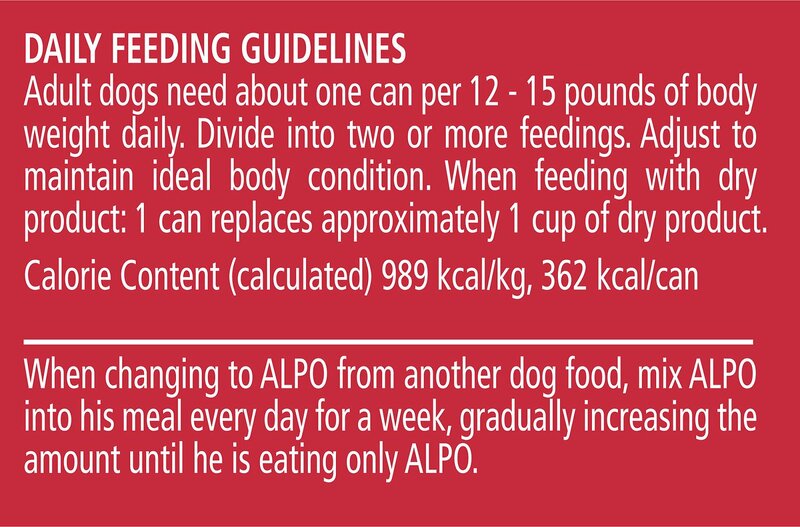 How do you ensure the quality of ALPO dog food? We maintain a strict code of standards for buying, storing and processing ingredients used in our pet foods. These standards are among the strictest in the pet food industry so you can feed our food with confidence.Visit here for more information. **How do I know how to feed my dog? **How do I know if my dog is overweight? Feeding your pet is 1 of the most important ways you can care for him. Once you have chosen the right food for your pet, you can develop a plan for portioning and scheduling. Why can’t I find the calorie information on my can/bag of ALPO dog food? Some of our pet food packages do contain caloric information. If the product package you feed does not contain this information, we’ll be more than happy to help. What should I consider when selecting a dog food? Select a dog food that is 100% complete and balanced for your pet’s life stage.All of our dog foods come with feeding instructions to help you properly feed your pet depending on his size. ALPO is complete and balanced for each life stage and will contribute to your pet’s overall health, along with regular exercise and attention to any of your pet’s special needs. Please visit our ALPO dog food products page to review and select 1 of our dog food products. Do I need to introduce new food gradually to my dog? You should consider gradually transitioning to new pet foods to help avoid dietary upset. We recommend consumers introduce a new pet food over a period of 7 - 10 days to help avoid dietary upset. Each day, increase the amount of the new food while decreasing the amount of the current food. After opening, how long can wet food be left out? We don’t recommend leaving wet food out for more than 2 hours after opening. Any remaining food should be refrigerated in a covered container and should be kept for no longer than 3 days. Can I microwave canned pet food? We do not recommend microwaving pet food that has been refrigerated. The food may heat unevenly, creating hot spots that could injure your dog’s mouth. In lieu of microwaving, we recommend allowing about 1 hour for the product to reach room temperature before serving. What is complete & balanced nutrition in dog food? Where do I find dog food coupons? While we offer coupons from time to time on our ALPO website, click here to register and be among the first to know about any coupons or special promotions. Our coupons may also be featured online, in magazines, in newspapers, like the Sunday paper, in/on our packaging and occasionally in stores. Where is ALPO dog food manufactured? We proudly produce our food in US factories. Whether it's cuts of meat simmered in a savory gravy, tiny steak-shaped treats or tender pieces of roasted beef, ALPO dog food and treats deliver plenty of meaty flavors. Instead of overcomplicating their recipes, they stay true to a dog's preferred diet—one that's full of the rich taste of meat. You won't have to call your dog twice to the dinner bowl! These dry meals feature bold flavors and complete nutrition in each delicious recipe. Made with high-quality beef, Prime Cuts is a canine favorite. Come & Get It Cookout Classics have all the staples of a good barbecue—like beef, pork and chicken—infused with a natural grill flavor. Both offer calcium to support strong bones and linoleic acid to support skin and coat health. Time to ring the dinner bell for a mouthwatering menu of wet foods. These are ALPO's specialty, and they don't disappoint, with tons of options for a hearty meal. Prime Cuts: Tender chunks of real beef, chicken, lamb or turkey in an enticing sauce. Chop House: Inspired by choice steakhouse faves like filet mignon, top sirloin and T-bones. 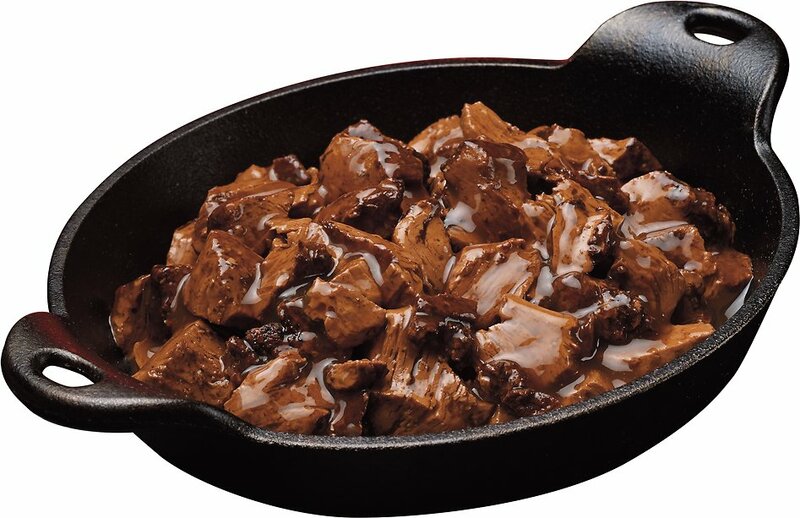 Gravy Cravers: Slices of real, protein-rich beef or chicken smothered in a superb gravy. You can make mealtime even tastier for your pup with ALPO Meal Helpers. Take your pick of roast beef and chicken or porterhouse and prime rib flavors packed into soft bites with indulgent aromas. These mixers add a little excitement to the dish without the mess—just pour on top of kibble, or blend into any wet food. Made for meat lovers, ALPO treats are a great reward for any size appetite. If your pup likes chewy soft treats, introduce him to T-Bonz steak medallions with real beef. Dogs that prefer a crunchy biscuit can try Variety Snaps with four meaty flavors in each box. ALPO Dental Chews are star-shaped teeth-cleaning snacks that help reduce tartar buildup. 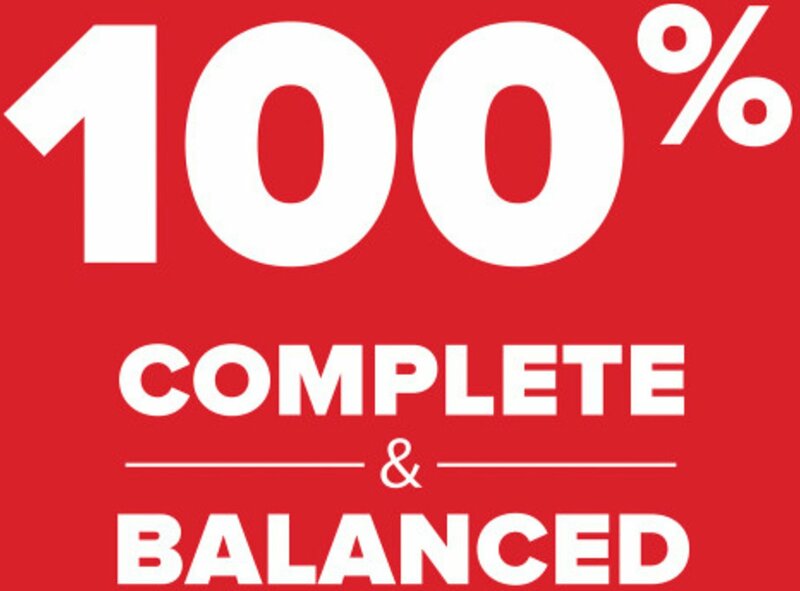 After eight decades in the pet food business, you can still count on ALPO for 100% complete and balanced adult dog food. Their food is proudly produced only in U.S. facilities, made from high-quality protein sources and formulated with 23 essential vitamins and minerals. Not to mention that it's extremely popular with doggie taste buds. With a variety of meat-focused flavors in their kibble, wet foods, toppers and treats, ALPO brings both excitement and quality nutrition to every meal. For more than 80 years, they've stuck to the simple truth that dogs crave the taste of meat. This shows in every recipe, and they've added all the stuff dogs need to create healthy, complete formulas that are proudly made in the USA. Some of the cans in the case were dented, not just slightly. THis must be how the company rids itself of damaged cans - packing them on the inside of a case so the customer is unaware of the situation until using part of the supply. This happened with cat food cans a few months ago and I stopped ordering through Chewy. Now I am rethinking my return to the delivery service. I mix this with their kibble and they love it-I have fed my dogs Alpo since I was a child and never heard of a recall, they must be doing something right. Good Deal and Missy enjoys this product. Fast ship good product. My dog Missy really enjoys this brand, I mix it with her dry food. Good food for small puppies, mix with hard food , small puppies like it. Seems to be of good quality and is reasonably priced. "Charlie" absolutely loves it for "breakfast" as a supplement to his dry food. I've bought this brand for my Great Dane because it was on sale and reviews didn't seem too bad. Unfortunately, I was disappointed. First of all, the cans arrived all dented; I was " ok, no big deal ". Then I opened the first can expecting better product than the way it was presented. The food has a " soup " consistency, not a lot of meat but a looooot of gravy!!! Way too much!!! I didn't buy it anymore and personally, I don't recommend it. I ordered 2 cases with 12 cans in each case. 6 of the 12 cans were severely dented in each case. The food did not appear to be effected, but I could not put a plastic lid over some of the cans to save a half can for the next day. There is a thick layer of gravy when the can is first opened. This just appears to be from the heavier meatier pieces settling to the bottom of the can. I shake the cans prior to opening and I feel there is a great amount of food for the dog. She loves both the meaty chunks and the gravy. For the price and quality, I recommend this product. Great way to get my dogs their food without having to lug heavy cans, and they love Purina! My dogs love it. Nice meaty soft chunks on gravy. Breaks up nicely for smaller breeds.